Eye catching. One good way to scream for a captain. That needs to be my slogan!! Oh boy, he knows what he wants I'm thinkin' !!! Oh yeah. That'd give a girl some shivers. I have been promoted. Now when you scream in pleasure, be sure Rear Admiral comes out first. Thanks for visiting my blog (A Bench with a View) and your comment; let's hope your snow is done for the season! My, what a picture! Made my heart pitter patter just a bit! Good luck with the rest of the challenge! Thank you SOOOO much for visiting my blog so I could revisit and see this! Thanks for stopping by my blog, glad I made my way here. 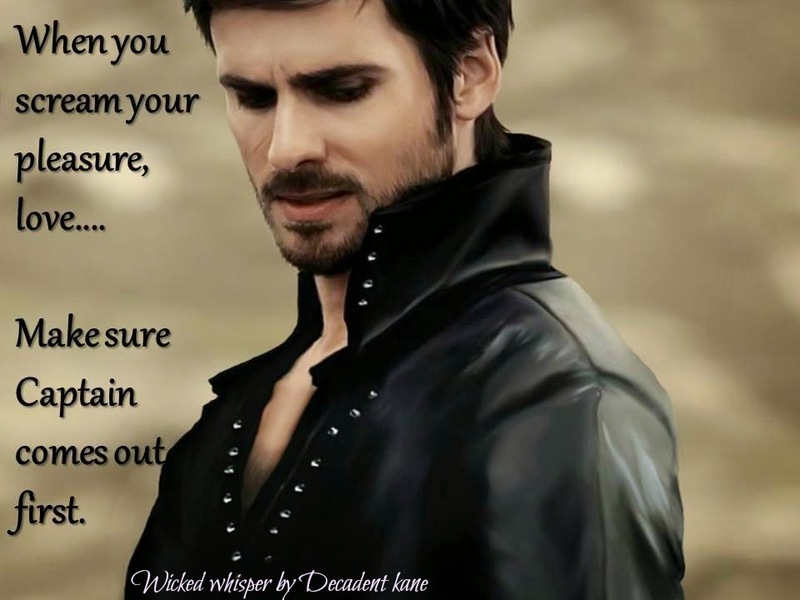 Hook *swoon* is the best.